The Evolym II men's wedding band shown is meticulously crafted in 18K white gold at the Shimansky in-house jewellery workshop. Here technical precision and design excellence is achieved and reflected in the Evolym band for men. Available to order in any finger size, this unique design can be especially created to your specifications in a polished finish as shown. 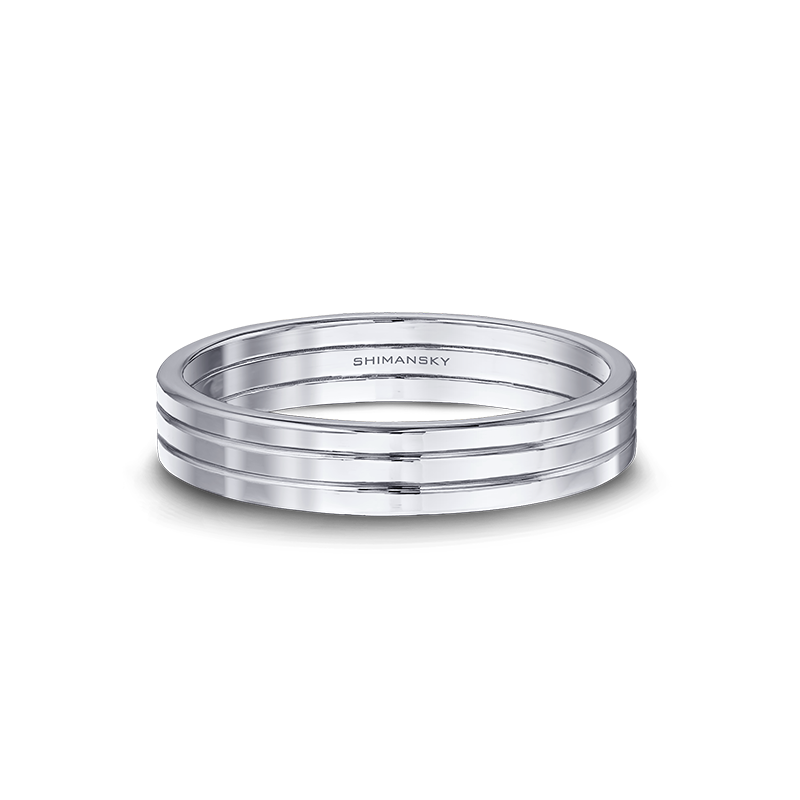 The perfect match to your partner's Evolym Diamond Engagement Ring and Wedding Band, the Evolym Two-Groove Wedding Band for Men is sleek and sophisticated. The two grooves are visible on both the outside, and the inside of the band, creating three thin bands, joined together. The number three carries a unique significance to each person who wears it, and as it is often a symbol for completion, this band is the ultimate representation of eternity. 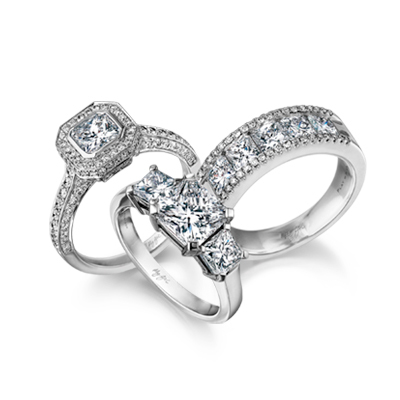 Celebrate the joy of your wedding day and the promise of a lifetime with the one you love, with the Evolym ring that spells "My Love" in reverse. Price applicable up to finger size “U”.